Why FIT4MOM? Because we are dedicated to helping women find the Strength in Motherhood! FIT4MOM is the nation’s leading prenatal and postnatal fitness program, providing fitness classes and a network of moms to support every stage of motherhood. From pregnancy, through postpartum and beyond, our fitness and wellness programs help make moms strong in body, mind, and spirit. We are looking for women who have a genuine love for fitness & motherhood, AND want to make a difference in the lives of women and children in their community! 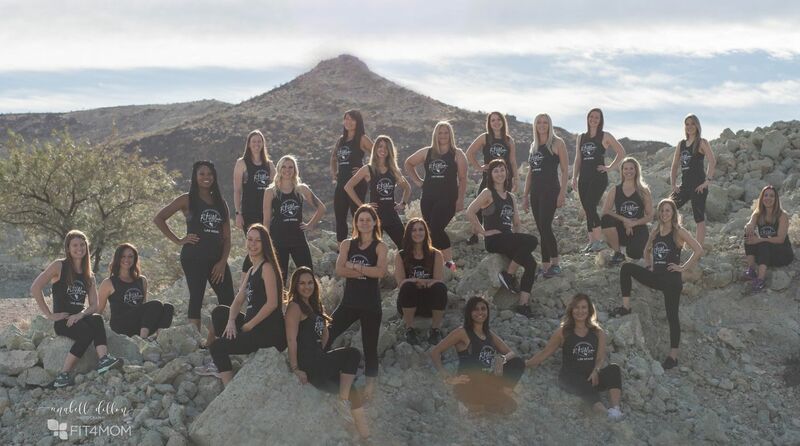 Our instructors all have personally experienced the culture and community of FIT4MOM Las Vegas firsthand and are passionate about supporting and empowering other moms to discover their best selves. If you're interested in joining our team, we always encourage you to join us for a class first so you can see how all of how fitness programs extend way beyond just sets and reps. Already a FIT4MOM Mama? Read on for more details! Excellent fitness level (strength and cardiovascular). Are you capable of challenging and demonstrating the highest levels of our exercises for those 'ultra fit' mommies? DO YOU LOVE CONNECTING WITH OTHER WOMEN? Do you enjoy making a difference in other people's lives? Do you wish to help women live healthier lifestyles? We have child-free workout formats for moms. DOES YOUR CHILD LOVE STROLLER STRIDES? Is the stroller a happy place for your kiddo? Is he/she interactive and content during class? Or are your children school aged? You can teach Stroller Strides and Fit4Baby without a child in tow! Either way, Stroller Strides might be a great fit for you! This is THE BEST JOB! Work with your child, or while your kids are at school, or still in bed sleeping. MAKE A DIFFERENCE in the lives of women and children in your community. It doesn't get better than that! FIT4MOM offers family friendly work schedules, and some of the most competitive pay for any group fitness classes! For more information, please contact: Jessica Peralta, lasvegas@fit4mom.com.